I ordered a pair to try out and review, and I am sharing my thoughts and the links to the sale with you guys. You can find these on Zappos. The all over Minnie print can be found here, and the style with the larger Minnie on the side can be found here. I decided on the white pair, with the all over Minnie print. I was having a hard time deciding on color, but the fact that these were a little cheaper in my size on Amazon made the decision a little easier. This isn't my first pair of Keds, so I kind of new what to expect size wise. I am typically a size 8.5 or 9 depending on the shoe. While some reviews suggest ordering a size or half size down, because of my feet I went with the nine because they are on the narrower side and I like having a little extra room in my closed shoes - especially when I will be using them to walk around all day. 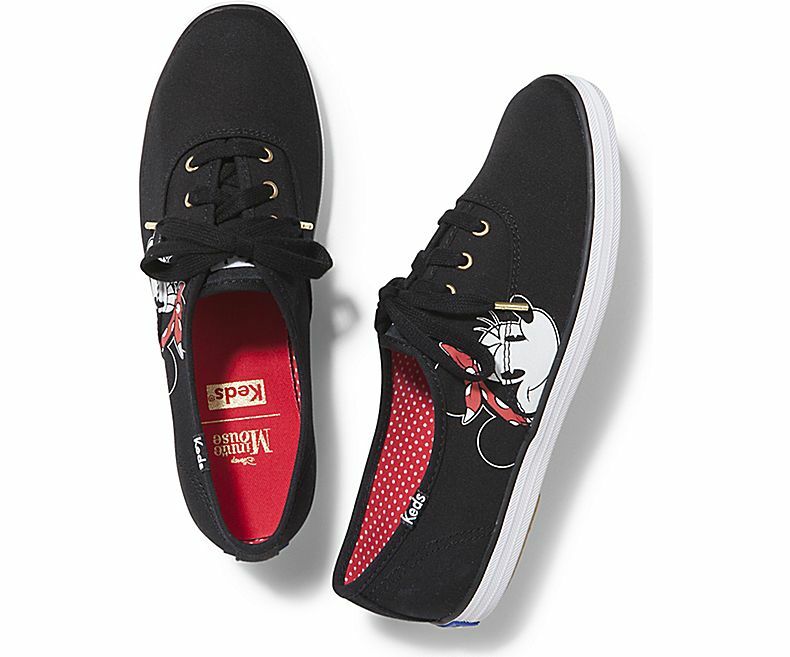 I like the support that Keds give, and I think they make a great addition to my Disney footwear team. The issue with walking SO MUCH at Disney is no shoe is going to be comfortable all day for multiple days in a row. I like to pack a few different options on a trip, and sometimes change mid day to give my feet a break. The links above I shared are from Zappos, I highly suggest ordering from them for their amazing customer service, shipping and easy exchange/return policy. All the styles are on sale there. However, a few sizes and color combos are even cheaper on Amazon right now, so that's worth a look. You can find the all over Minnie print on Amazon here, and the large Minnie on Amazon here. And if you are looking for the best socks to wear with these, check out my favorite no show socks from Gap.